Casablanca room is full of Moroccan charm. Inspired by the vibrant colours and shapes of Morocco the room has been designed with romance in mind and would be honeymooners’ favourite. 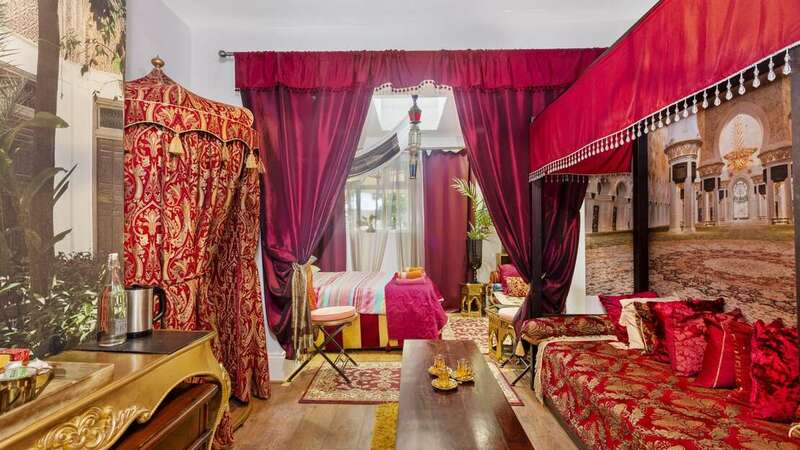 Its Middle Eastern interior includes highest quality hand-picked Moroccan furnishings, drapes, jewel lamps that casts soft shadows throughout the room, distinctive Moroccan mirrors and luxurious 4 half-poster bed. 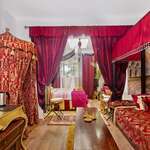 This colourful room also features a specially designed by its owner a magnificent tented wardrobe that helps to transform the whole room into a lavish desert Bedouin tent.